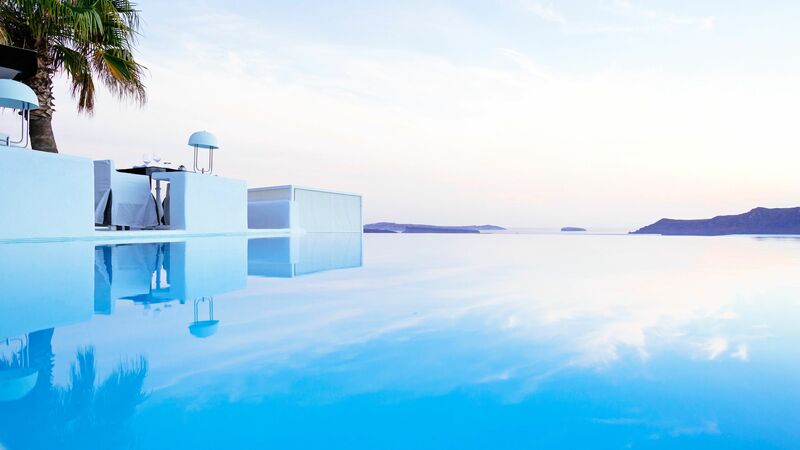 A member of the Leading Hotels of the World, the Kirini Santorini sits majestically on the top of a cliff, overlooking the glistening Aegean Sea. 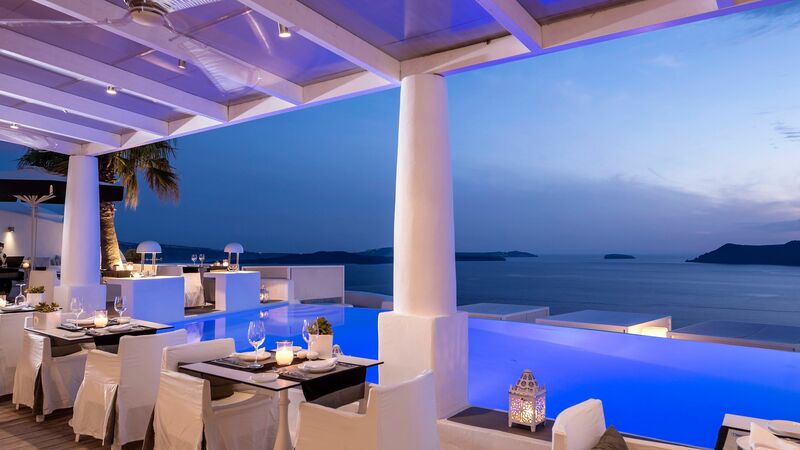 Built in traditional Cycladic architecture, with a series of multi-levelled terraces falling steeply towards the sea, this luxurious hotel boasts an array of well-appointed suites, all featuring magnificent sea views. The Anthos Restaurant is renowned for its gourmet cuisine, combining local traditions with fresh ingredients and a selection of the best local and international wines. To truly appreciate the exquisite wines, enjoy the ceremonial sunset wine tasting experience, whilst admiring the spectacular views. The Pool Lounge and Cocktail Bar is also on hand during the day to provide refreshments around the pool and for a truly relaxing experience, head to the A.SPA for a rejuvenating treatment. This hotel is not suitable for guests with limited mobility. This hotel does not accept children under the age of 13 years. Some vantage points at the hotel whilst offering spectacular views, require extra care and attention around viewing points and platforms. The hotel has 26 suites. Enjoy traditional Mediterranean dishes made from fresh local ingredients and accompanied by an exclusive selection of local and international wines. 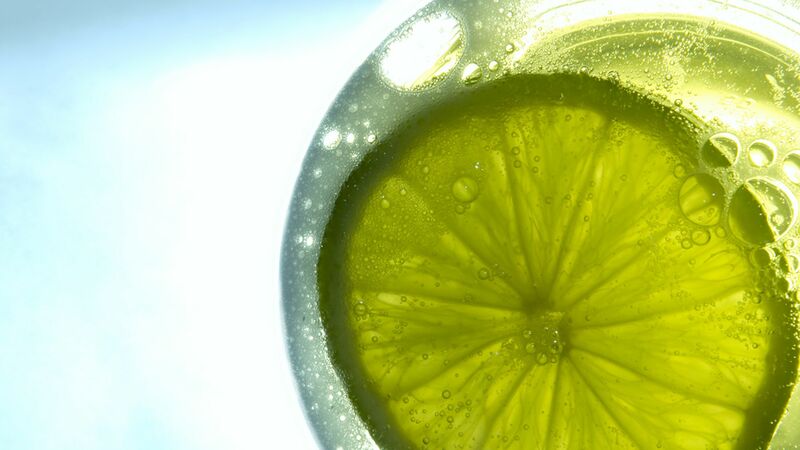 Located next to the pool, the Pool Lounge and Cocktail Bar serves refreshing drinks and tasty snacks throughout the day. The hotel has a superb spa. The hotel has an impressive Gym. The hotel also has a Fashion Boutique. The little village of Oia clings to the steep edge of a volcanic crater on Santorini’s northern edge. Vivid blue domes and gleaming whitewashed houses add splashes of colour to Oia’s red and grey cliffs, with buildings perched on tiny alcoves in the rock face and a stone staircase leading down to the shingle beach. With fabulous views of its neighbouring volcanic islands, its scattered Greek restaurants and tavernas become the prime spot for soaking up the views – particularly when the sun goes down. A handful of museums and cute little shops complete the picture, and if you’re up to the climb back up, take the steps down to the beach at Amoudi for a dinner of freshly netted fish. 30 minutes from Santorini airport. Junior Suites feature a bedroom with a sitting area, bathroom with a bathtub or shower and a spacious private veranda with magnificent views over the Caldera. Senior Suites feature a bedroom with a sitting and dining area, bathroom with a bath or shower and a veranda with views over the Caldera. Wet Junior Suites feature a bedroom with sitting area, bathroom with shower and a spacious outdoor veranda with a Jacuzzi® bath. Superior Suites feature a bedroom, open plan sitting and dining area, bathroom with shower, indoor Jacuzzi® and outdoor veranda with beautiful views over the Caldera. Honeymoon Suites feature a bedroom, open plan sitting area, bathroom with shower and a large veranda with outdoor Jacuzzi®, open air dining area, sun deck and lovely views over the Caldera. The Kirini Suites features a bedroom, open plan living room, walk-in closet, bathroom with shower and a Jacuzzi® and an outdoor veranda with plunge pool and beautiful views over the Caldera. Guests receive a bottle of wine & fruits upon arrival for holidays between 01 April - 15 November 2019. Kirini was of high quality in every way. They did everything they could and cared for us. The beautiful scenery that blends with Santorini was fantastic. I made beautiful and comfortable memories. It's hard to find it because it's a little far from the city. But it wasn't too far, it wasn't too uncomfortable. We went for a couples trip in April. The staff were incredibly hospitable. They truly wanted you to be happy, comfortable and enjoying your time. The resort is pristine and beautiful. We had an issue with the phone calling the reception and so they gave us a Greek cellphone with the manager and reception saved to the phone - talk about service! The food was excellent as well. Konstantinos and his team went out of their way to make sure we had a great getaway. It passed 2 years since our last visit and our great experience was consolidated! Great hotel overall, with incredible views from every room, very clean and tasteful decoration and great service level. Hotel location is ideal - walking distance to O? ?a main area, but far enough from the crowded streets. Breathtaking views, including a ???secret??? sunset spot just uphill from hotel rooms. As the walking streets are open to the public, some of the hotel rooms are easily accessed by pedestrians. As so, you may be somehow concerned with security. We would advise you not to leave valuables outside the rooms at those ?? ?not so private??? areas. We booked a Junior Suite and were able to chose the same room we stayed last time (room 13). But we were upgraded to a Senior Suite (room 23), which was much bigger and with a large seating area, indoor Jacuzzi, and fireplace, with caldera views! Nice private balcony as well. Spacious walk in closet and bathroom. Unfortunately the bathroom had no separate shower and bathtub, but had a nice overall layout. Great Bvlgari toiletries and very good towels. Decent size pool area may be busy during peak hours but we didn?? ?t have problems finding free sunbeds. Proximity of pool to restaurant may be a privacy concern and because of that the pool is ???open??? only after breakfast serving period is over (not something we liked...). Beautiful SPA! Service was very personalized. We had great service in all areas, but we were somehow disappointed with restaurant and pool staff. They were very efficient, but not very friendly. The nicest waitress was Stela - she was always smiling. Others looked not happy to be there. Hotel breakfast and overall food were excellent. Not a cheap option, but when in O? ?a, where great options are very expensive, Kirini is a top notch! Words cannot adequately describe the experience my family and I had staying at Kirini Santorini. The views were stunning. The staff went above and beyond to make us feel so special. The breakfast buffet was delicious. The spa treatments were incredible. The private wine tour arranged by Staff was terrific. Everything was better than we could have imagined thanks to their amazing hospitality. What a wonderful place! Gorgeous views and beautiful setting! Between myself, my sister and my mother we have traveled all over the world and to every state in the US. This was one of THE best places we?? ?ve ever stayed! Accommodating, attention to detail and so welcoming! Would come back in a Heart beat! The people, our Room, the spa, food, service, location, cleanliness, and warm personal touches ! Love love love !